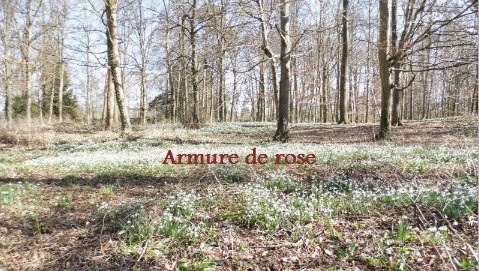 Armure de rose: Here come the meet-ups season ! Here come the meet-ups season ! Hey gals. I've been to three meet-ups these weeks so time for a quick report. 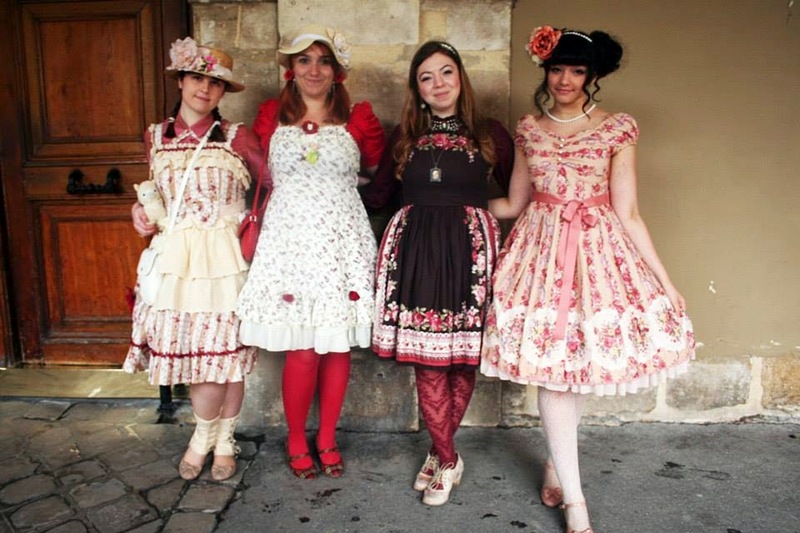 First, on april 27th we had the Easter day meet-up and another one to meet Fanny Rosie, which was travelling in France. We were around 60 ! Quite noisy but really fun ! I was glad to see a few friends such as Calypso (who I didn't see for like three years, we ended up commuting to the second meet together), Yume, Amithraclya Miku (what a nickname ! 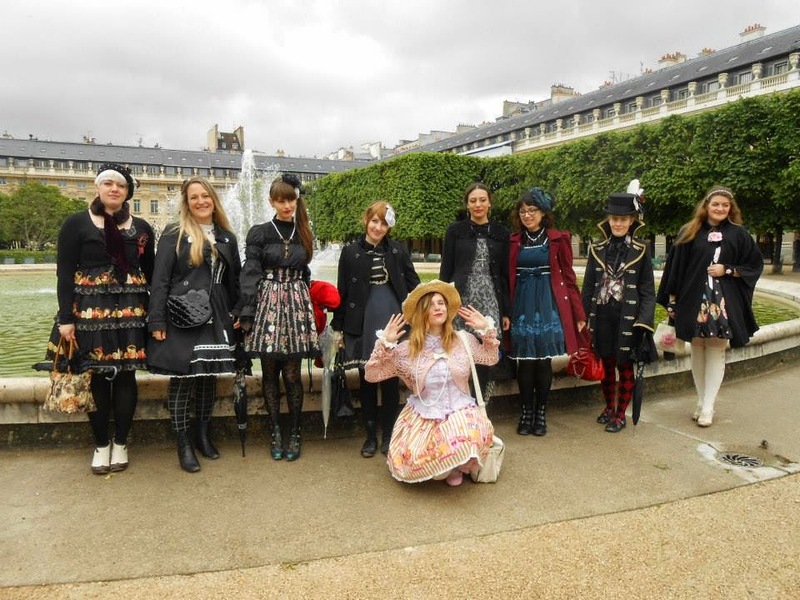 ), Cynthia, Isis, Laylla, and my dear Valtamerie (too bad we just crossed our path) as well as to meet Agathe, Manon (wonderful Rose as a secret scent coord, dear), this cutie girl with an AP mint print and a blond bob (LePanda something, sorry I forgot your name), fairy kei girl with pixel glasses (Lisa, right ?) and many other. 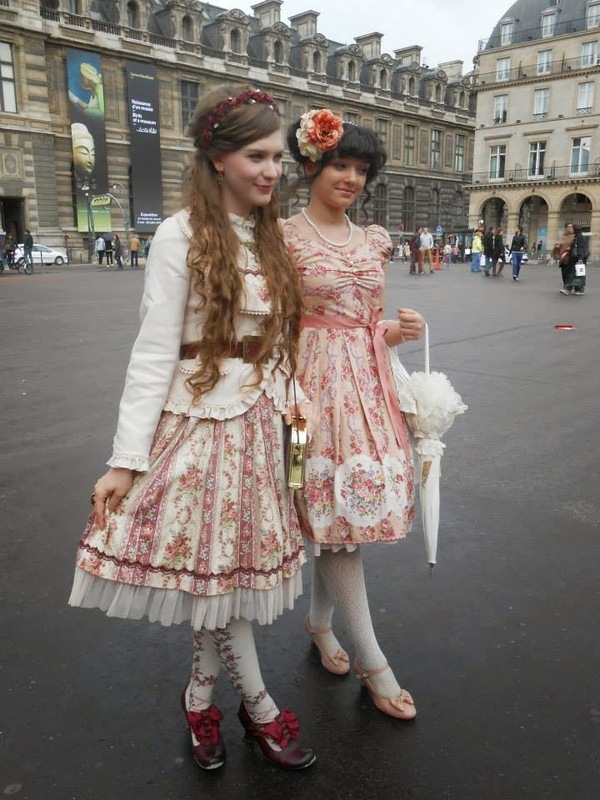 After that, Calypso and I found our way to the subway and met the other lolitas at Place de la Concorde. 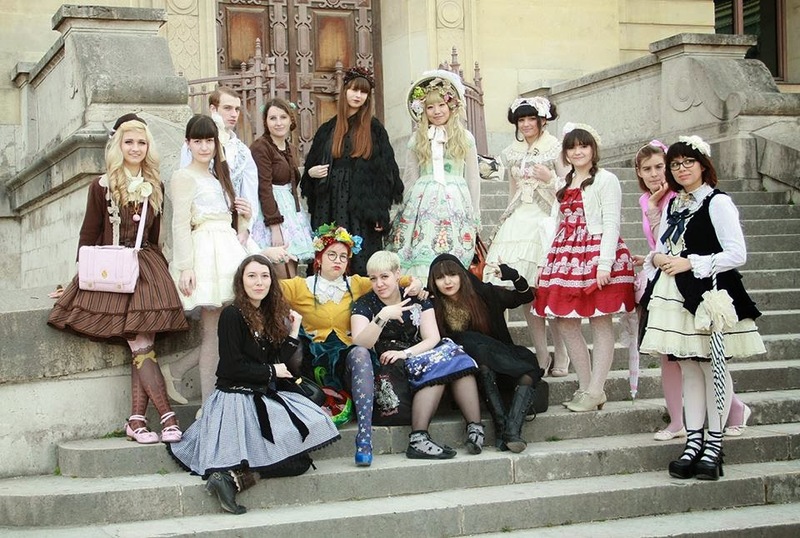 It was a much more classic and gothic oriented event. I had a lot of fun ! 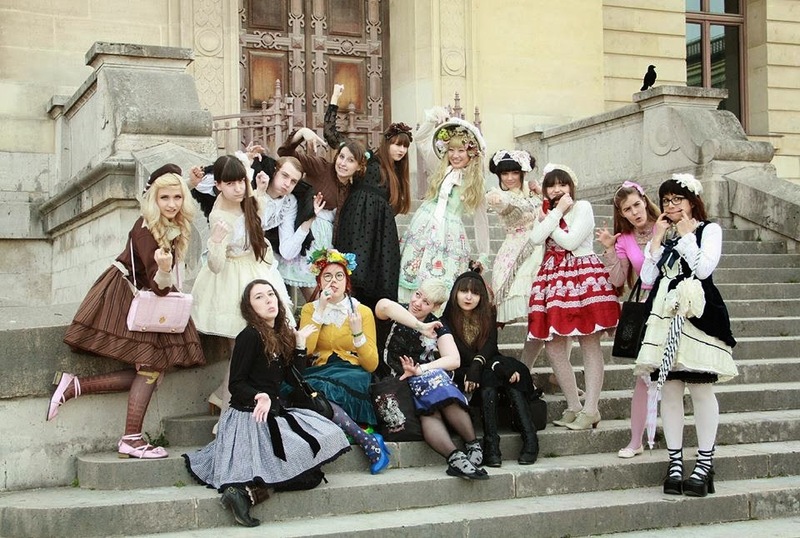 Fanny is a sweetheart, nice and funny, and I was happy to see my dear friends and meet other lolitas. Finally, Fanny and I ! I need to thanks my lovely Myriam for this wonderful meet-up arrangement, the tea place was nice and everything was going smoothly thanks to her work. 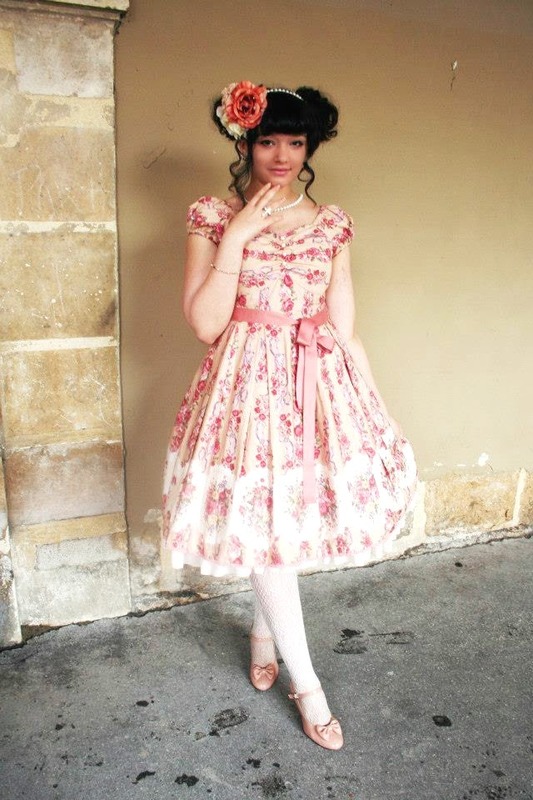 On may 4th we had another meet-up to see Michiko, Mila's japanese friend who come to France from time to time. 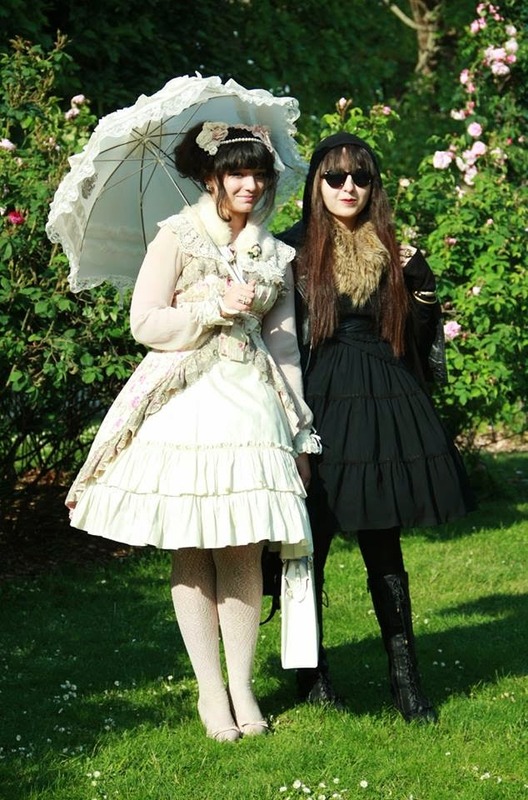 She is really nice, well-dressed and surprisingly open-minded (she was wearing a Lief dress, japanese lolitas tend to be very brand loyal and kind of chauvinistic so I was pretty amazed !). We met at Ladurée and had some tea and cakes. I took an Eugenie tea and a rose and raspberry flavoured Saint-Honoré, but I'm pretty curious about that rose milksahke too. Need to try that next time. (picture taken by the amazing Siriusc, who must hide some kind of marvellous fairy in her camera for I had never loved myself that much in pictures). 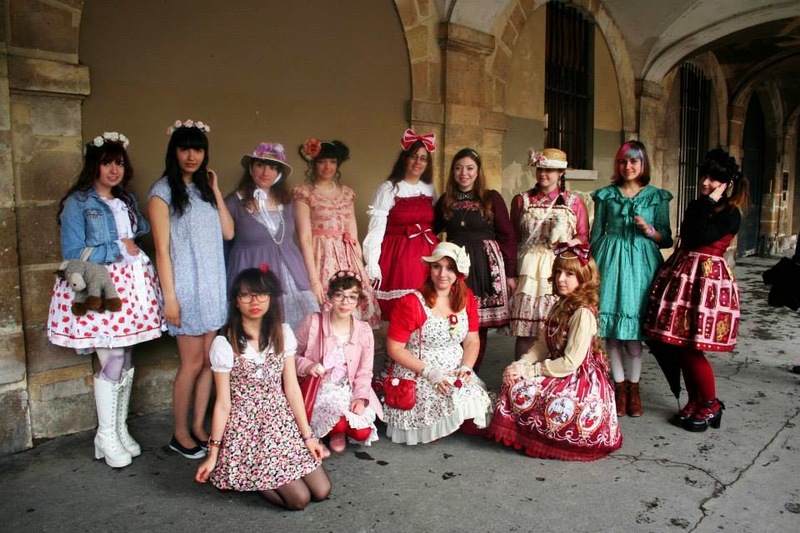 Mila, Siriusc, Ludwig, Lou, Hanako, Michiko, I, Charlotte, Nelly, ClafouTea, Sandra, Aliénor (dat dinosaur-flower crown), Tro-tro and Tzadkiel. 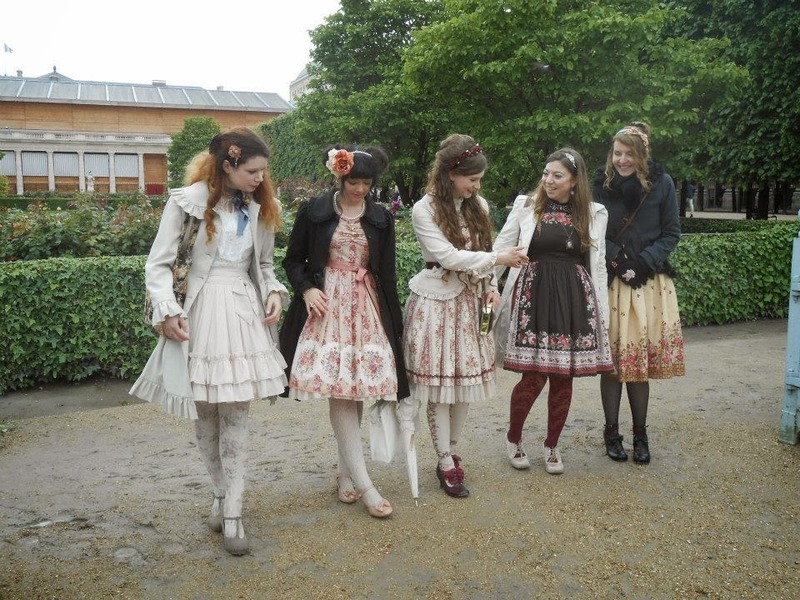 Everyone was so greatly dressed ! 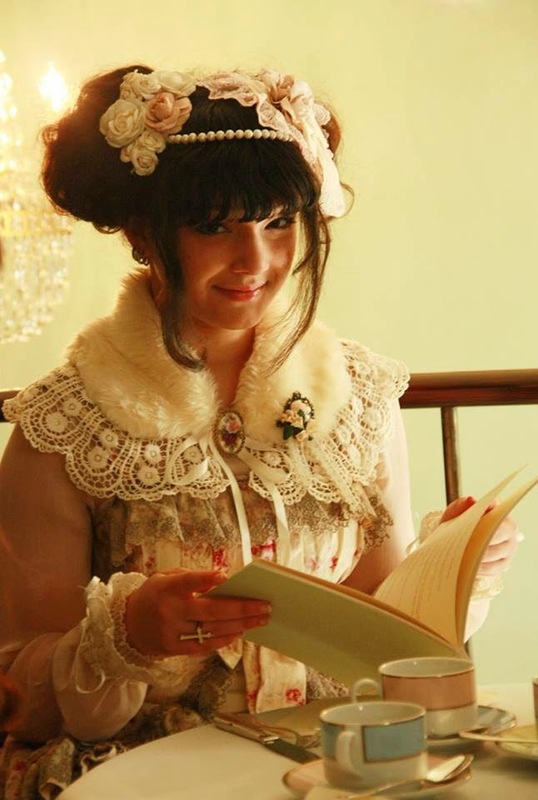 I had a real crush for Charlotte's Btssb embroided jsk, and ClafouTea's wonderful velvelt and lace dress. 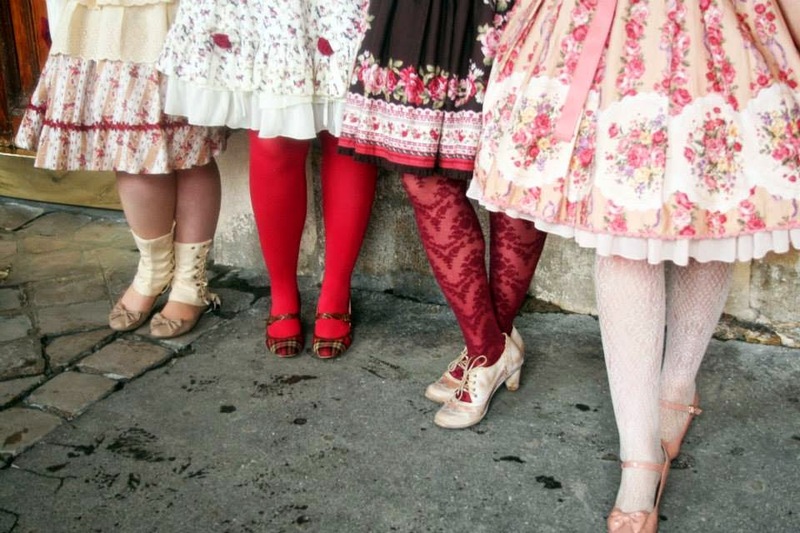 Sandra's skirt was suer nice too, it was handmade. 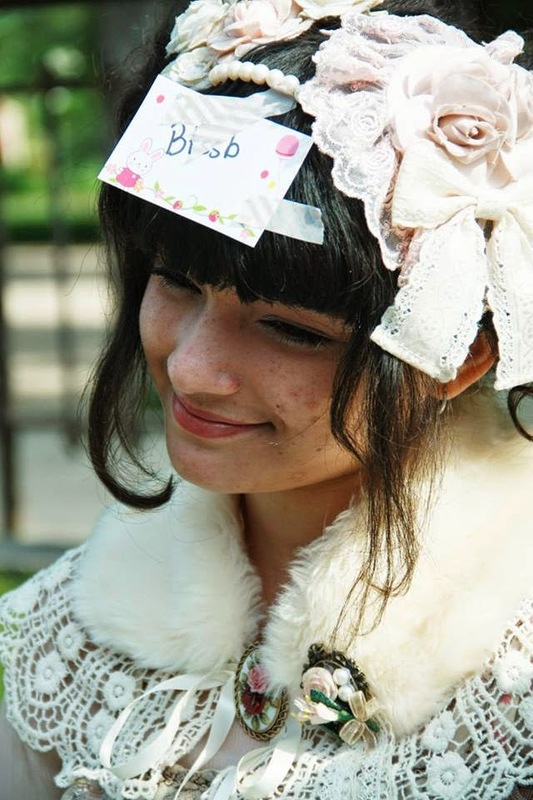 We played that game when you have to guess who/what are you (don't know the name in english, sorry), and we were particularly attractive looking with those small bunny and bear cards taped on. 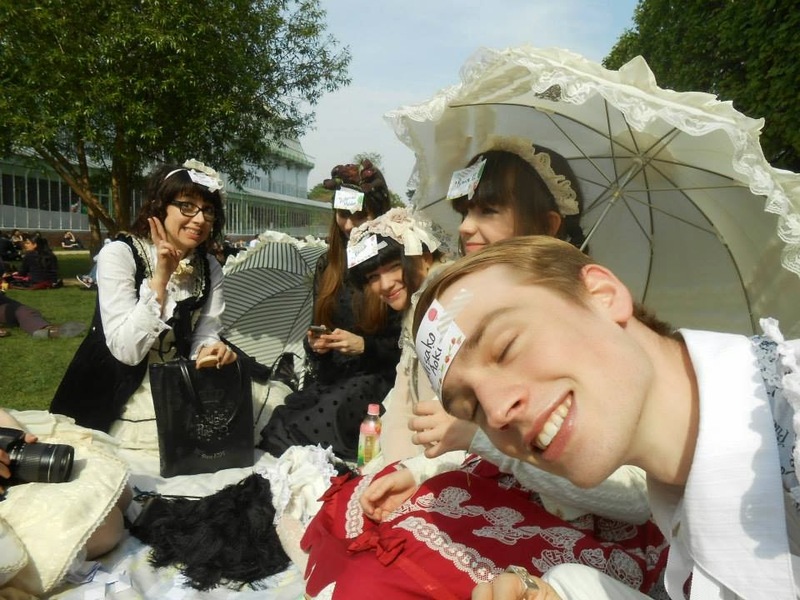 ClafouTea was Puppet Circus, Hanako was Victorian Maiden, Charlotte was Kimura U and Ludwig was Misako Aoki. All of this was pretty awesome, I had a perfect afternoon with you all girls, I can't wait to see you again ! Merci ^^ Ah non pas du tout, votre meeting était super sympa ! 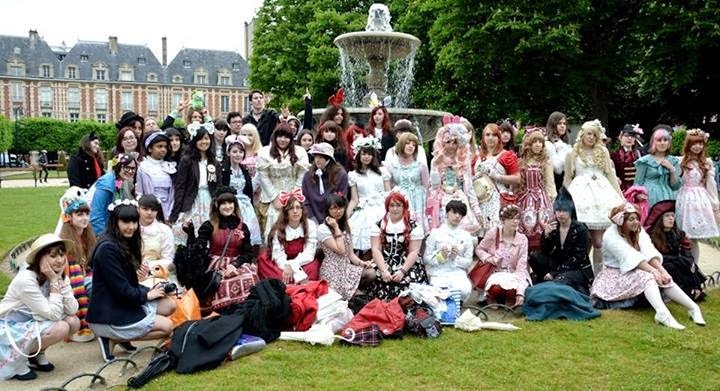 Le fait est que j'avais déjà rsvp pour le second meeting et comme je me fatigue vite, je me voyais mal faire deux meetings entiers d'affilé donc je ne me suis vraiment décidée à venir qu'au dernier moment x) En tout cas c'était cool de voir autant de monde, et merci d'avoir organisé ce meeting ! Innocent World lucky pack !